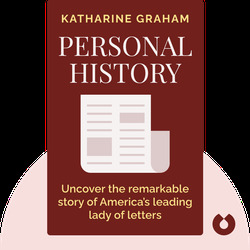 Katharine Graham’s autobiography Personal History (1997) is the illuminating inside story of one of the United States’ most powerful media moguls. 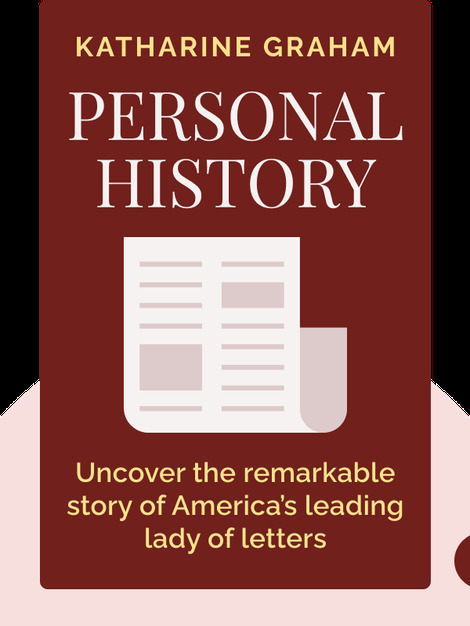 Beginning with her at times difficult childhood, which was shaped by her demanding and brilliant mother, this Pulitzer Prize-winning memoir sheds light on Graham’s rise through the ranks of the journalistic profession, all the way to the top of the Washington Post’s hierarchy. Katharine Graham was the publisher of the Washington Post from 1963 to 1979. As the first woman to preside over a major American media outlet, Graham oversaw the newspaper’s work in the turbulent years of the Nixon presidency and the Post’s uncovering of the Watergate scandal.